The level of hyperbole in the promotion of a Dutch concept of nature conservation, and its confusion with rewilding, risks reducing the meaning of rewilding to a thoughtless, simplistic equation. The undermining in Europe of the principles of rewilding is helped by media that give little acknowledgement to its original meaning, nor any evidence of the sound ecological understanding from which it was derived. The Dutch concept is Nature Development – Natuurontwikkeling. It started as a means of maintaining conservation reliant species by livestock grazing, but has been turned by Rewilding Europe and private foundations in the Netherlands into an ideology with a bizarre hatred of native structural vegetation. At its zenith of realisation, this ideology is easily recognised as Aldo Leopold’s observations on the killing out of predators leading to overpopulation of the Kaibab Plateau by deer, and in John Terborgh’s documentation of the ecological meltdown that occurred in the vegetation of predator-bereft islands in a Venezuelan impoundment. Trophic ecology, the interaction between all trophic levels in complete food webs, is not somehow different depending on which continent you are on, and thus it’s ecologically illiterate of proponents of this ideology to claim that rewilding is different in Europe, that it is achieved with the actions of domesticated livestock enclosed by fencing. There are strictly protected public lands in the national protected area systems of Europe, often connected through national ecological networks. Contrary to popular assumption, Europe does have areas with wilderness characteristics – with self-willed land. Thus rewilding here, too, should always be about restoring ecological and evolutionary processes, including natural disturbances, and with freely living native species, especially ecologically effective populations of highly interactive species. I wrote a manifesto in 2003 for rewilding the UK based on the principles I had seen in Wild Earth and The Wildlands Project. I circulated it widely, but perhaps its lack of impact was because I was acting alone, and I made the mistake of citing the Wilderness Act when wilderness is such a contested concept in the United Kingdom. Shortly afterward, I set up an advocacy website (www.self-willed-land.org.uk) and, having learnt my lesson, called it Self-willed Land. Every year since then, I have had to counter the drift in meaning of rewilding while making the case for it in the UK and the rest of Europe. I have tracked the ecological illiteracy of Frans Vera’s plaything at the Oostvaardersplassen in the Netherlands for many years, documenting that his theories on shifting woodland creation driven by herbivory had no support in the literature, and watching the landscape there deteriorate toward an ecological meltdown on the back of well over 10,000 domesticated animals dying of starvation behind the fencing. Vera does not label it as rewilding, but the media and many other commentators, including academics, do. I have described this maniacal experiment in Dutch nature development as a zombie idea in ecology, an idea that should be dead but isn’t. The deliberate trophic imbalance created by Vera, and the devastating consequences it has had for landscape vegetation, make the project not about ecology but about human agency. The population expansion and the inability of animals trapped by fences to migrate to other food sources finally upended the experiment, when the Province of Flevoland implemented the recommendations of the Van Geel commission on reducing herbivore numbers to well below food-limited carrying capacity, with the aim of sparking a regeneration in vegetation. I was present at the conference in Brussels in 2010 when the Wild Europe Field Program was launched, which shortly afterward renamed itself Rewilding Europe. It takes a bit of experience to look behind the syllogisms perpetrated by this private Dutch foundation to understand that its explanations of its approach are generalised and superficial at best, and entirely misleading at worst. It continually massages science to suit its purpose, a primary thrust being to assert that the outcome of its actions creates the original natural landscape, which it portrays as being open and savannah-like in the future visualizations of the landscapes of its project areas. Well, it’s true that this foundation’s actions, the equivalence of maintaining a farming pressure, create and maintain open landscapes; but it’s a leap of faith, or a particularly wanton agenda, to believe that this is the original natural landscape. 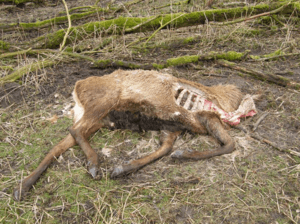 The key, as always, with Rewilding Europe, is that their approach is also nature development and involves dumping lots of domesticated herbivores into their fenced-off project areas, often in places where there are no large carnivores. It doesn’t stop there, as Rewilding Europe seeks to push changes in policy and even national legislation to their own advantage when it argues for its back-bred, domestic cattle to be accepted as wild animals and thus be released to free living. Rewilding Europe advocates likewise argued that Przewalski’s horse is a genuine wild horse so that there should be no legislative bar on introducing it to free living – even though it has been shown by genetic analysis to be a feral descendant of horses herded at Botai in the Central Asian steppes. I am reminded of what Michael Soulé wrote about this, as he saw that maintaining or restoring ecological processes by use of surrogate species could not be justified, as it was not the same as putting back the native community. Dave Foreman was later to write that without native species, the land is domesticated or feral, not wild, that a land without native species is not a wilderness, but a wasteland. A pseudo-intellectual gloss is given to another aspect of this continual shift in rewilding by calling it trophic rewilding, an orchestration of functional traits behind fences rather than restoring wild ecosystems. Rewilding Europe chooses to disregard paleoecological evidence for the distribution of European bison by aligning with researchers who claim that bison are a refugee species in woodland, that their true habitat is open countryside. This assertion is really cover for a justification for dumping bison behind fences in the Netherlands and watching them clear the landscape of its woody vegetation. Another exasperating example was a modelling of trophic rewilding through enlisting the predatory behaviour of wolves in reducing the number of Red deer in Scotland, but this would take place within a fenced enclosure to avoid conflict with people. I had a ghastly vision of the reaction people would have when they saw a wolf pack chase and manoeuvre a Red deer into the fence so that its further escape was blocked, and its fate inescapable. This is why the Standards of Modern Zoo Practice in the UK do not allow predator and prey to be in the same enclosure, nor do they allow live feeding in front of the public. Zoo standards aside, what really angers me about this is its demeaning of wolves in expecting them to perform a function, when this is really dewilding through constraining the freedom of their lives by the fences removing their autonomy. It is much to my indignity that the scourge of nature development infected rewilding in the UK too, linked as it has been to an intolerable absence of any critical evaluation of Frans Vera and his crackpot ideas, and to the influence of Rewilding Europe, which is similarly uncritiqued. The high profile example is Knepp, the farm owned by the Chairperson of Rewilding Britain, and which drew its approach of roaming domestic livestock behind fences from Vera as its advisor. 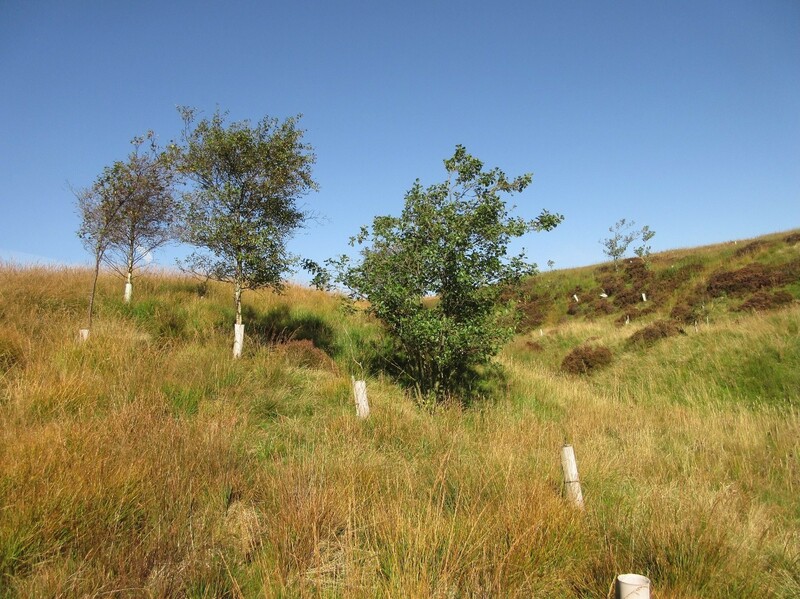 However, there is a spatial anomaly in the autogenic development of scrubby tree growth on the farm, the main driving force for increasing diversity in UK landscapes. What becomes clear about the anomaly is that the area of the farm that has the most scrubland cover was ungrazed for a number of years, whereas the area that has the least has been under continuous grazing. The claim though is that rewilding at Knepp is process-led conservation based on the grazing function of the cattle, the implication being that any change in the state of landscape vegetation was determined by and took place under the influence of grazing. This is the Vera theory of woodland development, but the area of greater development of scrub at Knepp is where it took place in the absence of livestock grazing. As it is, it is unlikely that it would have developed to the extent that it has if grazing of that area had been implemented earlier. At issue in the UK is the lack of willingness of the shifting rewilders to learn, a pedagogical challenge that would first need a clear-out of the false prophets of rewilding. It’s not for want of trying. I was asked what I would do with 140 hectares (346 acres) of degraded moorland in the Cambrian Mountains of Wales, this being the putative core area of Rewilding Britain’s big idea for landscape scale rewilding. The site had not been grazed for six years, and the intention was to plant scattered groups of native trees, a necessary recourse in upland landscapes trapped as they are in a tree-less state from centuries of overgrazing so that there is no seed source for autogenic recovery. It seemed to have the potential for the initiation of new trophic processes based on the in-migration of small mammals like field voles, wood mice, and common shrews attracted to the taller, ungrazed vegetation, and predatory birds then attracted to the small mammals. 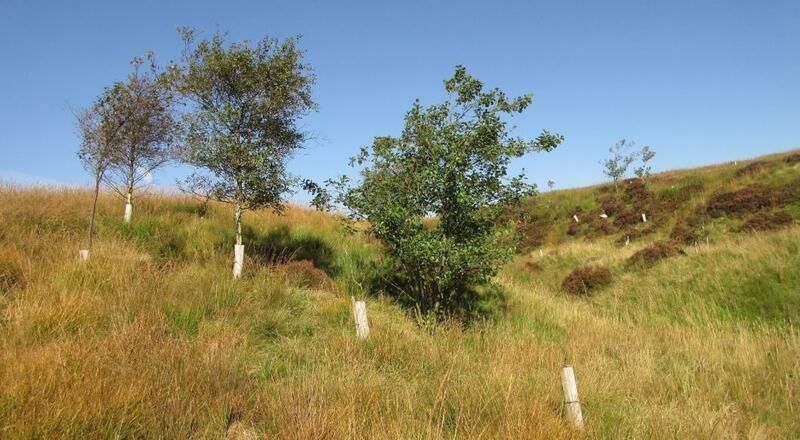 This has been seen at similar upland locations after cessation of grazing and tree planting. I looked at species records within migration distance of the location – predators like the fox, weasel and badger, predatory and insectivorous birds like buzzard, kestrel, woodpecker, thrushes and owls, the herbivorous small mammals and invertebrates, omnivorous birds, and the shrubby and herbaceous plant species – so that a rough capacity for harbouring those species could be calculated, and then constructed a potential trophic pyramid as a means of assessing outcome and evaluating barriers to progress, once its natural vegetation was on a trajectory of restoration. 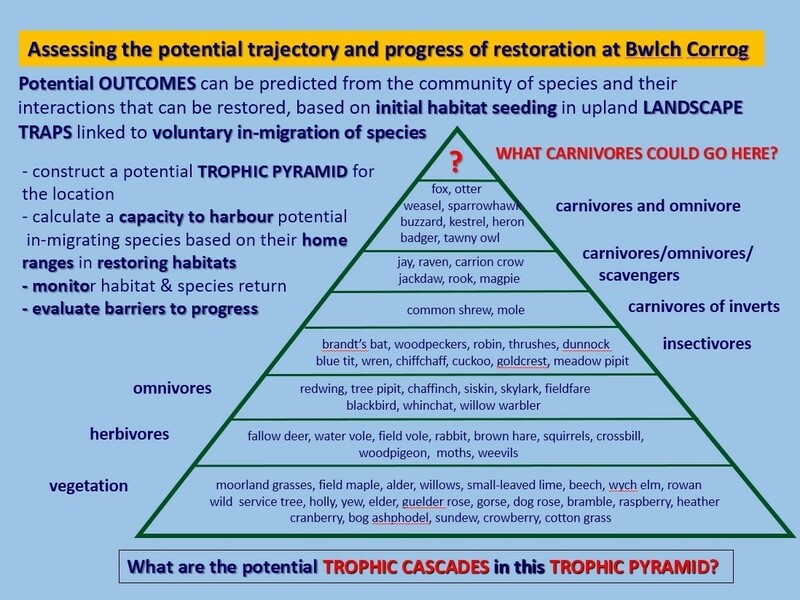 I put a large question mark at the apex of the pyramid, representing our lack of large carnivores in the UK, and how their absence creates a trophic imbalance if large herbivores are unthoughtfully introduced. Given that it was planned to introduce grazing by horses relatively soon at this location, I cautioned that six years in the absence of grazing at an upland location wasn’t long enough to see the benefits that have accrued at similar upland locations in terms of ground layer regeneration and return of mammal and bird species, and that tree establishment would face difficulties without an elaborate system of physical protection. The dogma of nature development won out and, within months, six allegedly wild Konik horses were introduced. Wolves are now present in every country in Continental Europe as a result of their voluntary reinstatement westward, a sign of their innate behaviour on population expansion to redistribute into new home territories – the UK and Ireland still lack wolves only because of their separation from the continent. Dietary studies show that once settled, the wolves are predominantly consumers of wild species. Countries on that expanding edge, like Germany, Denmark, the Netherlands and Luxemburg, developed their national wolf plans in anticipation of their arrival, adjusting legislation to give strict protection, and developing educational programs and mitigation plans for livestock predation. This was the mature response, underpinned by the requirements of the Bern Convention and European Union legislation. I don’t see that nature development has anything to offer when this real rewilding is taking place in Europe, unconfined by fencing and through a trophic interaction with free living, native species. Rewilding isn’t something different, ecology isn’t something different, just because it is taking place in Europe. Rewilding is a global issue and must not be put into confusion by those who seek to shift its meaning. The global context is that it is one of the urgent steps listed in the World Scientists’ Warning to Humanity: a second notice. As well, the Intergovernmental Science Policy Platform on Biodiversity and Ecosystem Services report on land degradation sees rewilding as a means to reverse that degradation; and Nature Needs Half gives us an over-arching strategic goal that must have rewilding as the means for its achievement. Mark Fisher is the author of Self-willed Land, an advocacy website for wild land and nature. 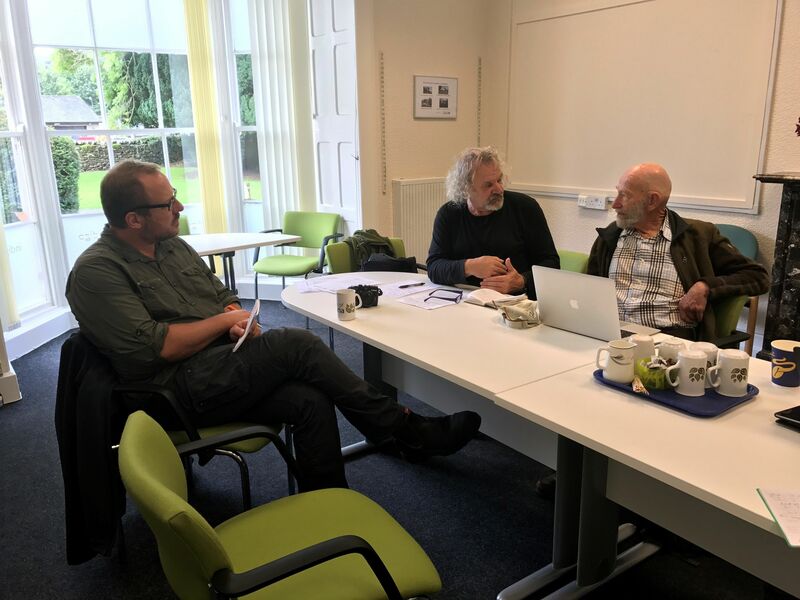 He is an honorary member of the Wildland Research Institute at the University of Leeds, the aim of which is to determine the requirements, strategies and policies for a transition to a greater presence of wild land in Britain and Europe. Mark recently became a member of the IUCN Commission for Ecosystem Management. Along with this critique of the nature development interpretation of rewilding, Mark has written a carefully researched history of rewilding thought and work, which is available on his website: NATURAL SCIENCE AND SPATIAL APPROACH OF REWILDING –evolution in meaning of rewilding in Wild Earth and The Wildlands Project. Discovering Mark and his website has been a revelation for me: it was the first time I’ve managed to find someone who could articulate my own thoughts about nature & conservation so eloquently. The idea of constant management and prescriptive approaches to conservation never felt quite right to me and I always found myself seeking out places that felt wilder. I am glad I’m not alone and that there advocates like Mark banging the drum for wild nature.